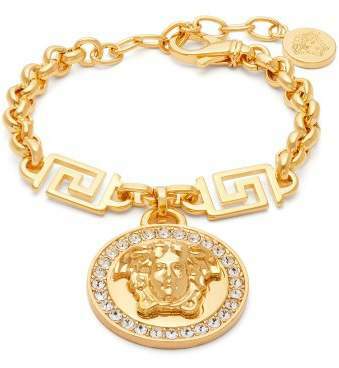 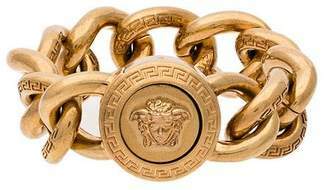 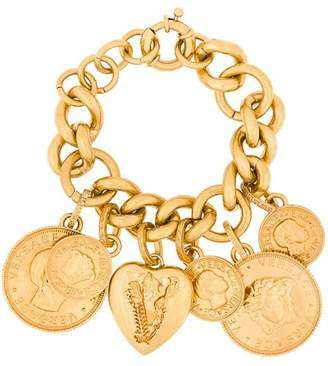 Versace - Versace's iconic style is represented by the crystal-encrusted Medusa charm dangling from this chunky chain-link bracelet. 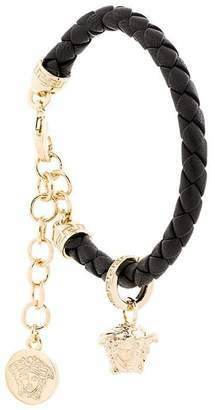 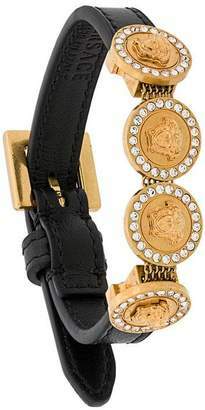 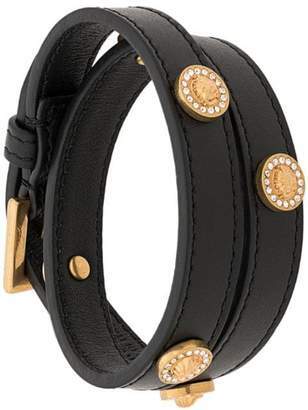 It's crafted from gold-tone metal and the length can be adjusted via the lobster clasp. 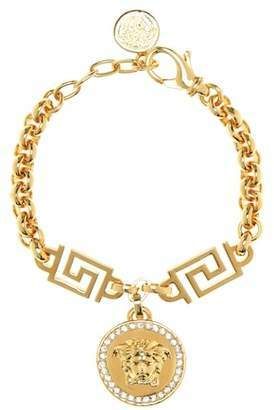 Style it as an empowering accent to a print dress.